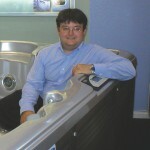 Doric Marketing chief Dorian Davies is hosting a special SPATEX seminar to encourage hot tub retailers and wet leisure companies to adopt modern marketing automation and web-based practices to target prospective customers. With appearances as an exhibitor at the UK Pool & Spa Expo and SPATEX under his belt in 2015, Dorian is currently preparing to follow up interest in his Doric Marketing services as a guest speaker as part of the specialised three days of seminars at the 20th anniversary edition of SPATEX in Coventry. 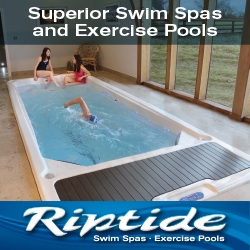 It is part of his strategy to revolutionise the way hot tub and swim spa retailers and wet leisure businesses interact with their existing and prospective customers. The wet leisure marketing guru, pictured, will be providing advice and highlighting various strategies for wet leisure specialists during his hour-long seminar entitled ‘Why have a marketing strategy?’, which is scheduled to take place on Sunday, January 31, from 11am to 12pm, in Arena 2 of the Jaguar Exhibition Hall at the Ricoh Arena. Dorian has provided his content marketing knowledge and marketing automation advice in a special ‘Hot Content’ feature in the latest edition of Hot Tub Retailer magazine and believes the wet leisure industry should be adopting modern online capabilities such as the ‘game changing’ marketing automation technology and engaging more with web-based audiences and the tech-savvy 20-somethings demographic that will become prospective customers in the future. “Pretty much every company in our industry has the potential to market themselves and grow their sales, their profits and their business through marketing automation in a way that we could only have dreamed of in years gone by,” said Dorian. Dorian has also highlighted how USA hot tub manufacturer Bullfrog Spas has given its retailer network a tremendous boost by launching ‘The Principal’ web series exclusively for YouTube viewers. It features characters in their 20’s to 30’s to mirror the demographic for the series who are coming close to hot tub ownership or will be in a few years down the line. “This is Bullfrog’s attempt to capture online viewers with entertainment content, in the same way major brands like Denny’s, IKEA, and Target have already done,” explained Dorian. “It’s not just about brand promotion but building up a relationship with online audiences of all ages. In this case it’s targeting the ‘millennials’, these are the highly coveted demographic of tech-savvy 20-somethings that are future customers for the wet leisure industry. “You only have to go into any café on the high-street to see how times have changed compared to a decade ago. At nearly every table people are browsing online content on tablets or their smartphones. So if you are not catering for this audience then you are missing out on future customers. Meanwhile, Dorian has welcomed Editor-in-Chief of Hot Tub Retailer, WhatSpa?, WhatSwimSpa? and WhatSwimmingPool? magazines Nick Clamp to become a Director at Doric Marketing. Nick reported that he was looking forward to working closely with Dorian and his team to boost the prospects of Doric Marketing’s clients at a time when the wet leisure industry is thriving. “I’m very proud to be joining the Doric Marketing board at such an exciting period of expansion,” said Nick.